The €30,000 Moorland Grand Prix Special Svenskt Dressage Derby presented by Agria is scheduled for Friday and the €60,000 Exquis Grand Prix Freestyle presented by Axel Johnson Gruppen will be held Saturday. 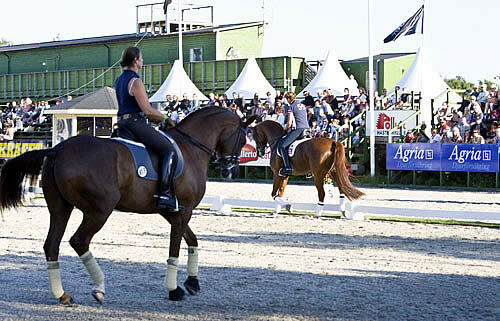 The Axel Johnson Group joined as one of the prime sponsors to make Falsterbo the fifth event in the schedule that was made up of Palm Beach in the U.S., Munich Germany, Cannes and Hickstead, England. Each event carries total prize money of €100,000 plus a circuit long WDM Rider Award of €25,000 (US$35,100).